Darryl Raymaker: HOT OFF THE PRESS: RON WOOD TO TELL ALL IN NEW 'MANYBERRIES' SHOCKER! HOT OFF THE PRESS: RON WOOD TO TELL ALL IN NEW 'MANYBERRIES' SHOCKER! You will recall my blog on Ron Wood’s first literary endeavour ‘And God Created Manyberries,’ 2010 Frontenac House Ltd. But now for the really good news. 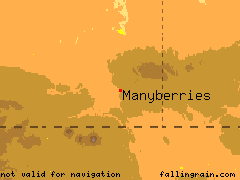 My spies in the literary world tell me that Wood is about to have published his second book, appropriately titled ‘All Roads lead to Manyberries’ once again through the good offices of Frontenac House Ltd. I have also heard some literary scuttlebutt that – like his first book - it will deal with the exquisite delights and attractions of his beloved Manyberries and its colourful townfolk. But there’s more. I am further advised by someone who should know – and in this regard I have been sworn to absolute secrecy - that Wood’s new work will not be on Premier Stelmach’s favourite recommended reading list. Furthermore, my impeccable sources have disclosed to me, that the Ottawa Press Gallery, indeed the news media throughout this great country, will be shocked to read what is on even the back cover of the book . . . and that it gets worse for them on the pages inside. The release of Wood’s new tome is imminent. Of course, I have ordered my copy in advance which I would urge you to do as well. Just click on: http://www.frontenachouse.com/ and tell them you want a copy of Ron's new book! For more about information gktoday visit here.